Shotgun cartridges are a relatively simple thing. The construction of a cartridge is completed with just 5 components and when most people are out shooting, they don’t give their cartridges a second thought. Having a basic understanding of how cartridges are made, how different cartridges can impact your performance in the field and how to select the correct cartridge for the correct scenario you are one step closer to being the best shot you can be. If bore, chamber length, shot size, wads and load weight has your head spinning, read on to make sense of it all. 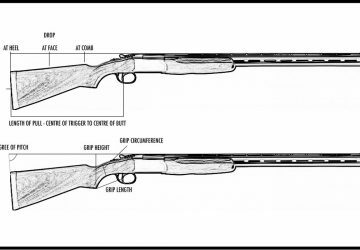 When buying a shotgun, one of the first things you’ll want think about is what bore or gauge of shotgun you need for the intended purpose of the gun. A typical bore will range from .410 at the smallest end of the scale to a 10 bore at the largest (although 8 bore and 4 bore guns also exist – they’re just not very common at all). 12 bore is the most widely used gauge for clay and game shooting but 20 bore guns are also popular. 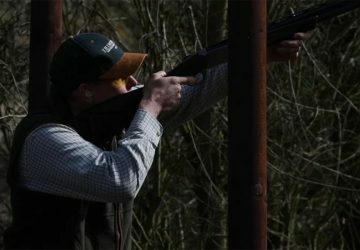 28 bore and .410 shotguns are generally used by younger people as they’re lighter and easier to handle but some adults do enjoy the challenge of hitting the clay ground with their 28 bore too! 16 bore and 10 bore are less common than they once were. In the mid-20th century, a 16 bore was a popular choice for game shooters and was considered to be the ‘gentleman’s gun’ but the popularity of it dwindled and it’s much less common than it once was. 10 bore shotguns were a popular choice in the wildfowling community. so, what does bore actually mean? If you didn’t know, you’d probably guess that it was some sort of unit to measure length (ie barrel diamater or similar) but it’s a bit more complicated than that. 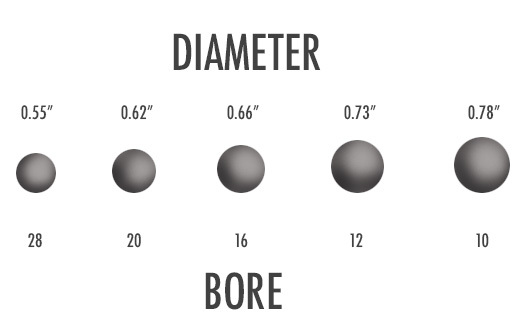 Like with a lot of things in shooting, bore is a historical term and it’s actually a division of weight. 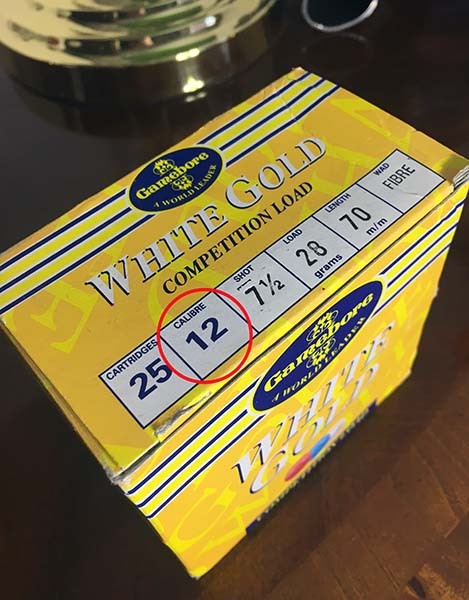 Using 20 bore as an example – the 20 is derived from taking 1lb of lead and breaking it down into 20 equal sized balls. The diameter of one of these balls determines the diameter of the barrel in a 20 bore shotgun. This explains why the barrels of a 20 bore shotgun are smaller in diameter than a 12 bore – in a 12 bore, you would only need 12 x equal sized balls to make up 1lb of weight as opposed to the 20 needed in a 20 bore so one of the 12 balls would be physically bigger than one of the 20 balls. The diagram above shows the relative size (note: not actual size) of the corresponding lead ball diameter which determines the bore size of the gun. An exception to this rule is the .410 – this is the true ‘bore’ or diameter of the barrel in a .410 gun – 0.41″. If the .410 was calculated in the same was as above, it would be the equivalent of a 67 gauge. Needless to say, when buying cartridges you need to make sure that you buy the right cartridges for the bore size of your gun! The bore size is normally printed on the box and expressed as ‘bore’, ‘gauge’ or ”calibre’. The chamber of the shotgun is the part of the gun that the cartridge sits in. Knowing the chamber size of your gun is important as you can use cartridges that are shorter than the length of the chamber but you can’t use ones that are longer. Using a longer cartridge than the chamber can accommodate is very dangerous. The cartridge length that is stated on the box and/or the cartridge is the length of the cartridge when fired – even if a cartridge seems to fit in the chamber, it does not mean that it’s fine for the gun and is safe. 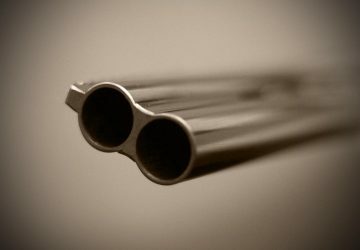 When the gun is fired the cartridge will open and reach it’s true length and if the chamber isn’t big enough, the pressure will be too great and the gun could explode in your face. How do you find out the chamber size of your gun? Get in touch with the manufacturer, ask a competent gunsmith or have a look at the gun its self – on some guns it’s stated on the barrels. The most common cartridge lengths are 65mm, 67mm and 70mm. Most modern shotguns have a chamber size of 3″ (or 76.2mm) so can accommodate any of these cartridge lengths. Older guns however were commonly made with 2.5″ chambers meaning that only a 65mm cartridge would be safe to use. An example of a modern cartridge made for an older gun with this sized chamber is the Regal Game from Gamebore (the link is to the 12 bore version but cartridges for other bores are also made). If you have a gun with a 2.5″ chamber, please be careful when purchasing cartridges and always check suitability with a professional gunsmith. 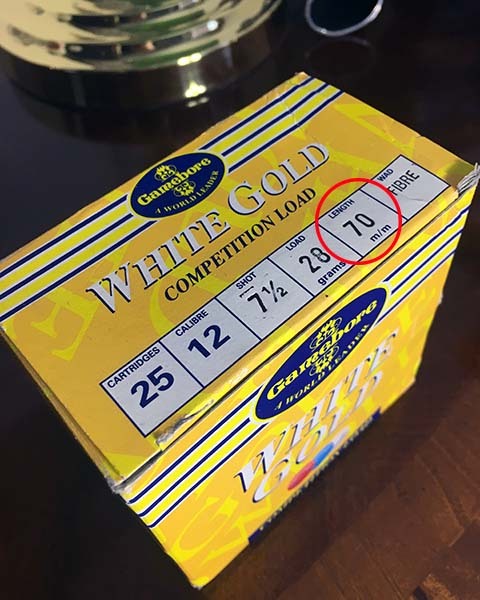 The length of the cartridge stated on the box – in this case 70mm meaning these cartridges would only be suitable for a gun with a 3″ chamber or bigger. 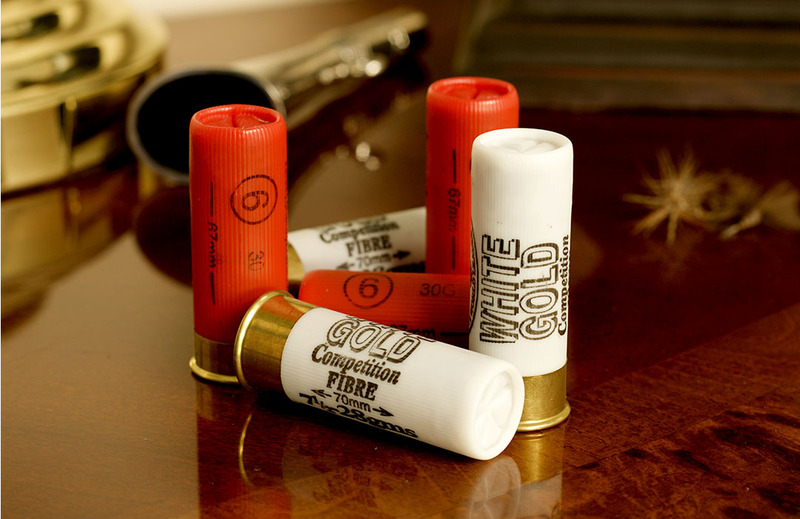 What are Shotgun Shells Made of and How do they Work? When the trigger of a shotgun is pulled, the firing pin hits the primer (located in the centre of the brass head of the cartridge) which causes a chemical reaction with heat being the outcome. This heat then ignites the powder. When the powder ignites, it creates gases which in turn creates the required pressure in order to propel the wad forwards. 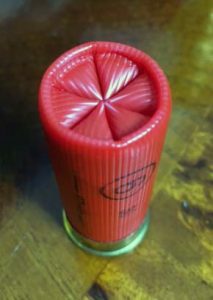 The wad (usually made of fibre or plastic) creates a seal in the cartridge so that gases don’t dissipate and the the full pressure that has built up by the powder igniting can be used to push the shot out of the end of the cartridge. The wad also creates a wall between the shot and the powder so that they don’t mix. The shot is the part of the cartridge that ends up (hopefully) hitting the target. The shot is usually made of lead (more about lead alternatives later) and is a number of small round pellets. It’s important that all the shot is perfectly round. Pellets that are not perfectly round will travel at different speeds and the resulting shot pattern can be negatively impacted by this. Cartridges come in different shot sizes and volume – more on this in the next section. A cartridge with a plastic case crimped at the end. The case is what houses all of the above. Modern day cases are usually made of plastic and are crimped at the end. Cartridge cases used to be made with paper but plastic cases are now the norm. The crimping actually plays an important part of helping to manage the pressure within the cartridge and is key to the end pattern of the shot. The image to the right shows a typical six star crimp but you will sometimes see eight star crimps, normally on higher end cartridges. Your shot size requirement will change depending on what you’re shooting. For clays you might want number 7.5 shot whereas for pheasants you may want number 5 or 6 shot. The lower the number, the bigger the pellet size. The payload or volume is shown is grams. In the image below, this particular cartridge contains 28 grams of number 7.5 shot. If it said 24 grams on the box, the cartridges would still contain number 7.5 shot but in less volume – 24 grams vs 28 grams. For end of season pheasants you might end up using 32 grams of number 5 shot which is quite a lot of larger sized pellets to ensure a clean kill. As mentioned above, number 7.5 shot is fairly typical for clays. For shot size recommendations for different live quarry species, see this list by BASC. Plastic Wad or Felt/Fibre Wad? The wad of a cartridge usually comes in the form of plastic or fibre. Some people argue that plastic wads give a more consistent pattern but fibre wads are much more friendly to the environment. Modern fibre wads can still throw great patterns and being more environmentally friendly, for us it’s a no brainer. You may experience a little more recoil with a fibre wad as they’re loaded at a higher pressure but again we feel that the benefits far outweigh the downsides. A lot of shoots now insist on the user of fibre wad cartridges and they’re widely available for both clay and game cartridges. The speed or velocity of a shotgun cartridge is measured in ‘fps’ or feet per second – quite literally the number of feet that the shot will travel in a second towards the target. If you were at the clay ground shooting with a 12g cartridge containing 28 grams of number 7.5 shot and the velocity of the cartridge was 1,350 fps, the required lead would be different to the same cartridge with a velocity of 1,550 fps. Why? Because the shot is travelling towards the target at 200 feet per second faster compared with the first cartridge! The speed of the cartridges you’re using needs to be considered and if possible, choose a cartridge that works for you and stick with it for more consistent shooting. The cartridge velocity isn’t always printed on the box, sometimes it is but it’s common to see it excluded. If you’re buying cartridges of one of the well known brands, you may well find the information you need on their website. There are laws around the use of lead shot which should be researched and obeyed. Different countries have different rules but in England, the lead shot regulations ban the use of lead shot over all foreshore, certain SSSIs and for the shooting of all ducks, geese, coot and moorhen (wherever they occur). Cartridges containing an alternative to lead shot are available in various forms, mainly steel and bismuth but there are some considerations around them. For steel, this resource by BASC explains things really well (clicking the link will automatically download the PDF). Always consult your gunsmith before using steel shot cartridges with your gun to make sure it’s safe to do so. Bismuth shot is more forgiving to older guns being as soft as lead but is much more expensive than steel shot but again, consult with your gunsmith to find the right cartridge for your gun if you do have a need to use a lead alternative cartridge.